We have teamed up with the attitude seedbank to let you get your hands on our brand new genetics for free! 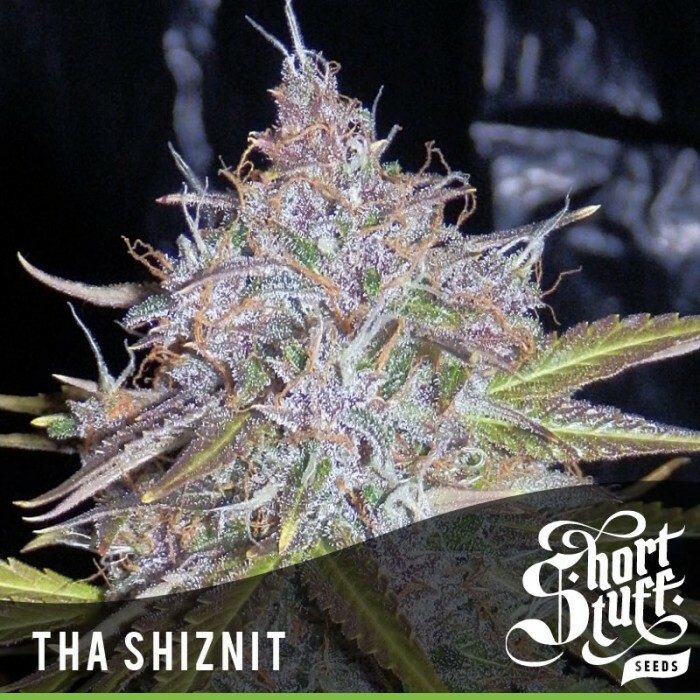 Tha Shiznit is a soon to be released auto flowering strain of epic proportions that recorded THC levels of 20.6% at Spannabis 2014. Size – Medium to large, plants can surpass 1m indoor. She has larger internodal spacing with chunky buds forming at each one. Scent – classic old school skunky flavour/fruity, some phenotypes express a unique strawberry smell. characteristics – Thick stem, main cola dominant with big fan leaves, long branches with round clustered buds. Extremely extremely resinous. A percentage of plants will exhibit colour in the buds. sensitivity/tips – An easy to grow, set and forget variety, she does all the growing for you.